Before making my debut in the content marketing world, I was a journalist living out her days at coffee shops, city council meetings, ribbon cuttings and community gatherings. The daily grind was grueling at times, but it was also exciting. The prospect of breaking news always kept me on my toes and every day I worked to give my readers the latest and greatest news and information. And of course, I aimed to deliver that news and information before the competition. Now as a content marketer, I find that while my job title has changed, the essence of what I do hasn’t. Like journalism, content marketing is all about providing your audience with quality content that informs, engages and develops your brand as a trusted go-to resource. Journalist or content marketer, I’m still faced with the same challenge every day: actually delivering that quality and engaging content in the face of stiff competition—something all brands and marketers can relate to. The fact is, B2B and B2C brands alike are creating more content than ever before—and they don’t plan on stopping. In fact, for B2B specifically, 76% of marketers said they planned to produce more content this year than in 2015, according to B2B Content Marketing’s 2016 Benchmarks, Budgets and Trends—North America report. And 60% of those marketers find it challenging to create engaging content on a regular basis. But all isn’t lost. I believe that looking at content and content strategy like a journalist can give brands and marketers a new perspective—and maybe an edge over their competitors. 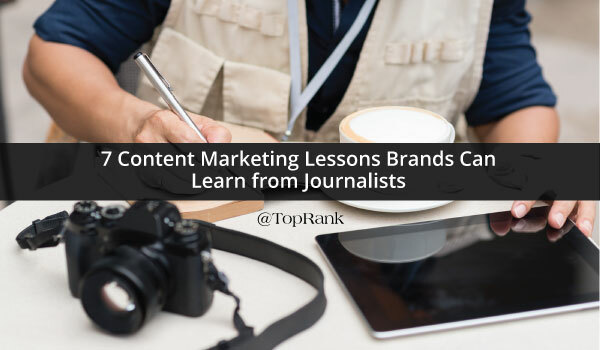 Below are a few lessons that brands can learn from journalists to do just that. Journalists understand that in order to create content that gets read and gets shared, they need to understand who their audience is and what they care about. Perform keyword research: Keyword research not only uncovers the search volume behind your most important keywords, but it can also offer insights into keyword opportunities and search intent. In addition, perform your own searches for various keywords and look through the results to see who’s ranking at the top. Conduct a competitive analysis. Research your top three to five competitors through their website, social media pages, news articles and search results. How does your brand stack up? Dig into data and analytics: Get familiar with your website’s analytics to gain insights about the users you’ve already managed to attract to your site. Look at the most popular pages, the pages with the highest bounce rate, and the pages with the best and worst conversion rates. Journalists are dedicated to being the best answer for their audience. They want to get the scoop. They want to be the go-to resource. And they want to do everything better than the competition. For brands, being the best answer means providing relevant, quality content wherever and whenever their audience is searching for it. Use the research you’ve done to identify where those content opportunities lie. In addition, don’t be afraid to engage your existing audience. Use social media to pose questions or send out a current customer survey to get feedback and insight. The more you know, the better you’ll be at providing the right information. 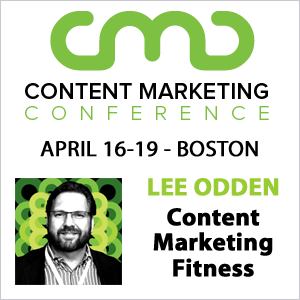 For example, TopRank Marketing CEO Lee Odden often reaches out to his Twitter audience to gather insights on various marketing topics using polls. Every piece of content a journalist turns out is aimed at enticing the reader. Content is organized to help readers easily flow through the article and photos are often used to add a visual element to the story. Long-form pieces are often broken down into sections with headers, which is more pleasing to the eye and helps with scanability. In addition, content is written in a way that tells a story—not in a way to please search engines. For brands, the bottom line here is to create content that’s a good experience for your audience to read. SEO is important, but usability and user experience is more important. Read 7 Ways to Optimize Your Web Content for Humans & Search Engines for more tips. Who, What, Where, When, Why and How—the 5 Ws and the H. These are the foundation of every article a journalist will ever write. And they can certainly be applied to your content marketing strategy. Where am I going to publish and disseminate? When am I going to publish and disseminate? In my early journalism days, I thought I needed to cover everything. But then reality sank in. If I covered every piece of news, I was spread far too thin and I wasn’t giving my audience enough of the news they really wanted to read. Most of all, I wasn’t showing my audience value. Brands should use their audience knowledge, keyword research, and their website data to hone in on their content strengths and opportunities. Choose a handful of topical areas to get started with—and create as much content around that topic as possible. This will allow you to begin showcasing yourself as an expert in specific areas and eventually you’ll be able to expand that to new areas. The best news articles have a face and provide perspective. Journalists use people close to the story and expert sources to give their articles credibility and depth. Brands can do the same with their content by working with influencers. Influencers not only lend expertise and authority to content, but they can also help that content reach a larger audience. Don’t just reach out to your influencers in times of need. Engage with them on their social platforms. Share their content. Shoot them an email to check in. Just as a journalist works hard to build a network of credible sources, brands should remember that building a relationship with influencers is an ongoing journey and there needs to be value for everyone. Mayo Clinic has a cool and interesting way of using influencers through its story hub Sharing Mayo Clinic. The hub features stories from patients, families, friends and Mayo Clinic staff about the treatments they’ve had at the famed hospital. The stories often feature photos, videos and personal messages to tell the stories. One of the first lessons you learn in journalism school is that accuracy is a non-negotiable. I once received a failing grade for the misspelling a source’s name. (I’ll always remember your name Fred Woods.) It was certainly embarrassing, but really it was a careless mistake. Make sure that you have a solid QA process for every piece of content you create. Little things that get missed can have an impact on your credibility and the effectiveness of your content. What other professions have helped inspire your content marketing strategy? Tell us in the comments section below. There area unit lots of various ways in which to achieve your audience on the web, therefore some get confused regarding that strategy is that. Content selling basically involves making relevant content that gives price to your target market audience, that you then distribute and promote so as to encourage your audience towards a precise action (usually, creating a purchase). The selling strategy developed as a response to the growing impotence of ancient selling techniques, like TV ads, direct mailers, billboards, etc. Content selling is associate degree incoming selling strategy — which means that you are making an attempt to draw individuals to you, as hostile associate degree departing strategy, wherever you are trying to catch the eye of your audience with interruptive selling techniques. Content selling is regarding respondent people’s queries and finding ways in which to resolve their issues, which inspires them to become loyal customers. Journalists should work as a part-time content marketer. They have the capability of writing not just clear but clever writings and that what makes a good content. Some content marketers write out of necessity which mean that they constantly in a state of practice and it is not attracting prospects but instead just dumping information after information.